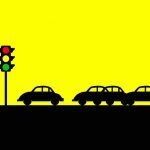 Autonomous Vehicles: The Driverless Fleet of the Future? Vehicles are becoming smarter. This means more key decisions are being made by the vehicle, with little or no input from the driver. What does this trend mean for business drivers? Is it a positive change for fleets? Check out our new infographic and decide for yourself. What are the most important things to measure in a vehicle fleet? Find out how access to the right data can help to cut costs, boost efficiency and improve safety. Changing your fleet stretches far beyond operations and fleet management, impacting many other areas of the business. So how exactly do you identify these areas for change in your business? Michael Rayner explains how in his latest post. Just over ten years ago, commercially available mobile broadband changed mobile phones for good. Now in 2014, the same is happening in cars. 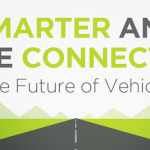 We’re witnessing the rise of the connected car. Learn more in our new visualisation.